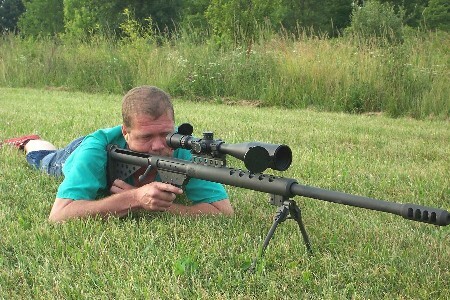 Pic of someone shooting my Serbu .50 BMG. I like the red shoes. I think they're half red, half white. Do you think he took them from a bowling alley?